One of the ongoing issues at the moment is that 3D printing is slow and most technological improvements have been geared toward improving quality and lowering the cost. A team of engineers at MIT are now tackling the speed issue. 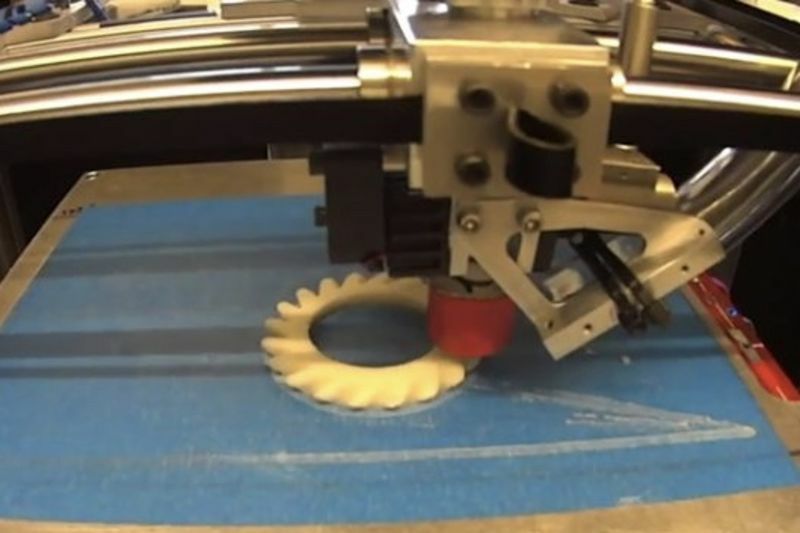 They have designed a new 3D printer that can operate up to 10 times faster than a traditional printer. The key to the team's nimble design lies in the printer's compact printhead, which includes two speed enhancing components: a screw mechanism that feeds polymer materials through a nozzle at high force; and a laser, built into the printhead, that rapidly heats and melts the material, enabling it to flow faster through the nozzle. Anastasios John Hart, associate professor of mechanical engineering, says the new printer demonstrates the potential for 3D printing to become a more viable production technique, "if I can get a prototype part, maybe a bracket or a gear, in five to 10 minutes rather than an hour, or a bigger part over my lunch break rather than the next day, I can engineer, build, and test faster." he continues, "if I'm a repair technician and I could have a fast 3D printer in my vehicle, I could 3D print a repair part on-demand after I figure out what’s broken. I don’t have to go to a warehouse and take it out of inventory." The video below shows the FastFFF printer working at normal speed — it’s not sped up!